Let F be a number field. The Arakelov class group Pic_0 F of F is an analog to the Picard group of a curve. This group provides us the information of F such as the class number h_F, the class group Cl(F) and the regulator R_F. 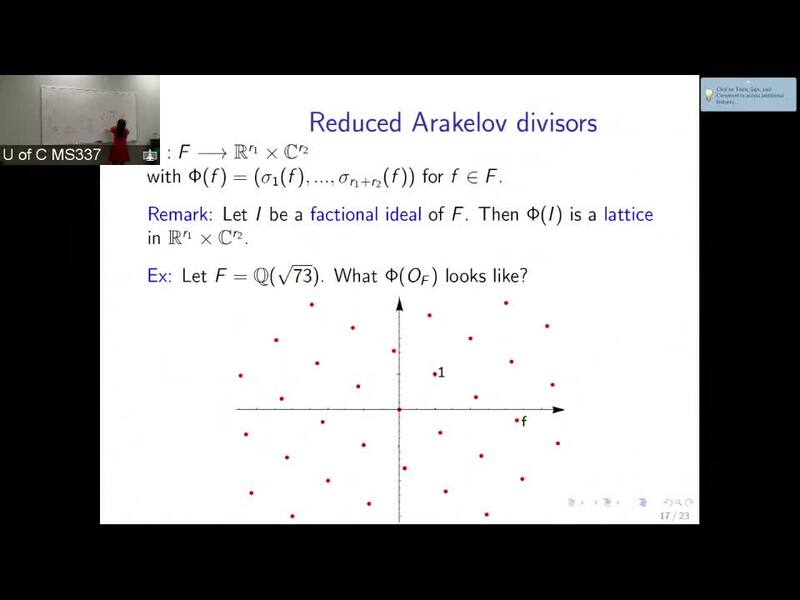 In this talk, we will first introduce Pic_0 F then show that how this group gives us the information of F. Next, we will discuss a tool to compute this group-reduced Arakelov divisors- and their properties. Finally, some open problems relating to this topic will be presented. See the event webpage for more information.